Report claims that although machine learning can offer some benefits, more work and research is needed to ensure a positive outcome. The UK could be hit hard by the increasing use of machine learning technology over the next few decades, new research has claimed. 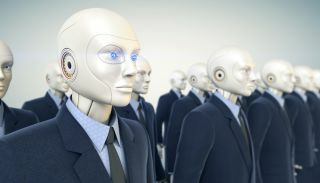 A report from Google has predicted that the UK economy would see an average negative growth in the years up to 2030 as artificial intelligence and machine learning take over a range of traditional job roles. Governments and policymakers were also warned that major investment needs to be made in skills and education for workers in all industries, ensuring that human productivity continues to rise in tandem with the growth of technology. The report, which evaluated three econometric scenarios affected the UK, US, Australia, Japan and developing Asia regions, also looked at the impact machine learning would have on four major industries, concluding that a number of benefits could emerge. Across transportation, healthcare, energy and manufacturing, machine learning was predicted to have a positive effect, with the report noting that such technology was already commonplace in many areas, with improvements in safety and efficiency highlighted. However companies looking to upscale their use of machine learning were urged to temper expectations surrounding the technology, managing anticipation and acknowledging potential risks as well as rewards. “The debate over the impact of machine learning, and artificial intelligence, is an important one and like all important debates, it needs to be reasonable and informed," said Chris Clague, editor of the report.